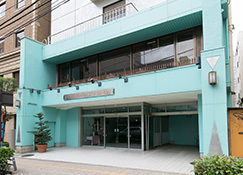 HOTEL PEARL CITY SENDAI is 12 minutes walking from Sendai station,in the heart of Sendai city. We offer comfortable and spacious rooms for the guests with the reasonable price. Only the reservations made by individual guests via the internet will be accepted. Identification of online reservations by agencies will result in the release of any such bookings. HOTEL PEARL CITY SENDAI is 12 minutes walking from Sendai station, located in the heart of Sendai city. We offer comfortable and spacious rooms for the guests with the reasonable price. © 2019 Hotel Pearl City Sendai All rights reserved.